Home Procurement News Why should you slow down the supply chain? When it comes to their products, consumers have high expectations. They want their goods when and where they expect them. The general population doesn't like to be kept waiting, whether they're sitting in a doctor's office or standing in line at the store. This demand calls for businesses to step up their game, but speeding up the supply chain can actually cause more problems than benefits. If you've watched or read the news lately, you've probably heard about several manufacturers recalling vehicles because of faulty airbags. You may also know about Maine-based Barber Foods recalling nearly 2 million pounds of poultry believed to be contaminated with salmonella. This is the second chicken recall by this company this month. If products don't go through rigorous testing, they could be put on the market before they're ready. Unfortunately, in today's society, that happens more than it should. According to IndustryWeek, it's not uncommon for companies to skip an extra test before releasing items to the public. Businesses may see larger returns for getting merchandise in stores earlier than anticipated, which causes them to push for a speedy production line. However, this can be dangerous for both consumers and companies. Without final testing, organizations can miss an issue in their products. When these items get to their buyers, they could cause problems. Faulty airbags can lead to injuries and fatalities, while contaminated chicken may make people severely ill. Even if the mistakes don't prove that serious, they can still lead to inadequate products. Consumers hand over money with the expectation that they'll receive satisfactory products in return. However, if businesses don't perform quality checks, they're going to have a lot of unhappy customers. They may gain bad reputations and lose clientele if the problems persist, the Aveta Business Institute explained. On the other hand, if people love their purchases, they'll likely share their experiences with others, which will drive more traffic to those companies. 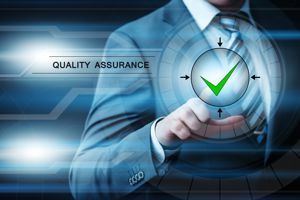 Quality control checks are crucial, and they should be done at all points in the supply chain, the source claimed. There need to be criteria that the products are required to meet at each part of the process. Organizations can bring in outside agencies or perform in-house testing during all stages of production to ensure quality. Companies can conduct customer surveys or call previous buyers to determine how these items are being used and how well they're working. If possible, businesses may use beta testing with just a select group of consumers before releasing products to everyone. According to IndustryWeek, companies shouldn't be afraid to slow down their supply chains if necessary. While they don't need to bring the speed to a grinding halt, they require have sufficient time to perform tests, gather data and correct any issues long before the products near distribution. Businesses should be able to predict any inefficiencies before something goes wrong. Today's society may call for its favorite products when it wants them, but that doesn't mean companies should sacrifice quality and safety to do so. By performing the proper tests, businesses can ensure that once their items are on the market, they stay there.